The latest episode of Black Mirror – Bandersnatch – is a ploy by Netflix to harvest viewers’ thoughts and report their findings to the government. In the episode, viewers are allowed to choose their own path through the story using on-screen options, but experts warn that the whole thing could be a scam to introduce mass surveillance on an unsuspecting population. Thesun.co.uk reports: Netflix hasn’t revealed exactly what it’ll do with this data, but the company does offer up data to marketers and advertisers – and government organisations, when asked. “Netflix is bound by privacy laws especially when dealing with European subjects,” Adam Brown, a cybersecurity expert at Synopsys, told The Sun. For instance, imagine if you were charged with committing a violent crime. The police could request Netflix data showing what decisions you made when watching TV shows. For instance, Bandersnatch gives you the option to kill certain characters in very brutal, gory ways. Data suggesting you chose violent actions during a viewing session could potentially count against you. “Choices could reveal aspects of a viewer’s psyche to law enforcement agencies,” Brown explained. But he added that your personality could be revealed by regular TV choices too – outside of Choose Your Own Adventure stories. When combined with other data, this could mean bad things for your privacy, as one expert explains. “Your smart TV, games console and AI assistant might know what you’re watching, hear all the comments you’re making, and even know which part of the screen you were looking at when you said that or made that expression,” said Dr Ian Pearson, a professional futurist, speaking to The Sun. “Your fitness band meanwhile is measuring your excitement level via your heart rate. This data could then be accessed by governments or big-money advertisers. Dr Pearson explained: “While much of the date gathered about you is low value, just form filling and clicking, that might not give true indications about you, your intimate behaviours and choices when watching a programme alone could reveal much more accurate and detailed data about you. Not everyone is convinced that Bandersnatch can provide such detailed data, however. Michael Pachter, a media expert at Wedbush Securities, told The Sun: “It’s not clear that Bandersnatch was effective in driving much consumer interest beyond the novelty of the experience. He called the episode an “abject failure” and said: “I don’t think that Netflix has the skills set (yet) to make a compelling interactive experience. Pachter thinks that Netflix will create more Bandersnatch-style shows and will “endeavour to derive information”, but said it “won’t be effective or productive”. “Keep in mind that they know very little about users beyond what they watch,” said Pachter. “They don’t know age, gender, purchase habits, household income, or pretty much anything else about their customer. They may know that I like Stranger Things, but so do 13 year-old girls. A Netflix spokesperson told The Sun: “The privacy of Netflix members is a priority for us. 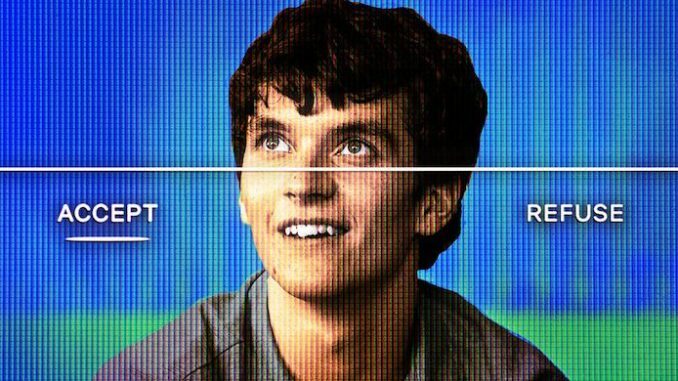 “Documenting choices improves the experience and interactive functionality of Black Mirror: Bandersnatch.